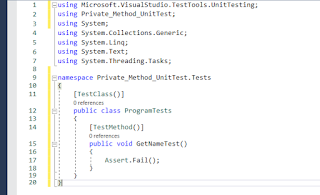 Though Microsoft doesn't allow creation of unit test of private method as best practice. 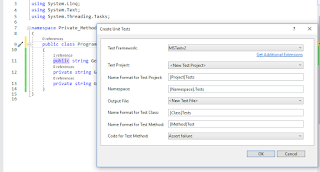 Microsoft Unit Testing recommends to Public methods with no parameters whereas class may contains private methods with lots of parameters. 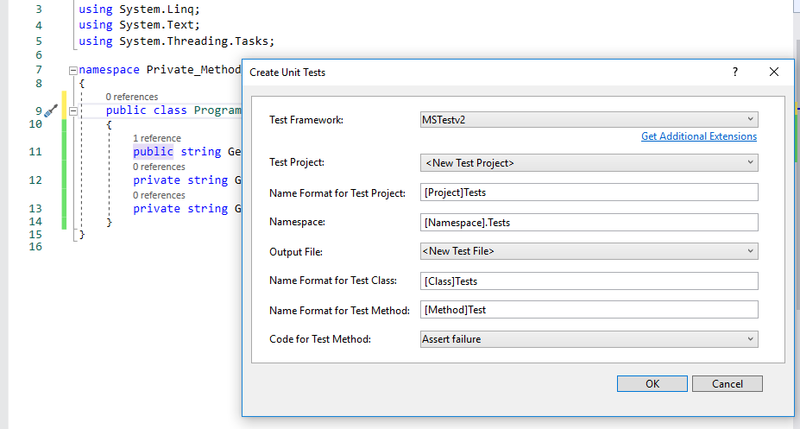 As we can see how Visual studio behave when we try to create unit test of private member. See how it escape private Methods. 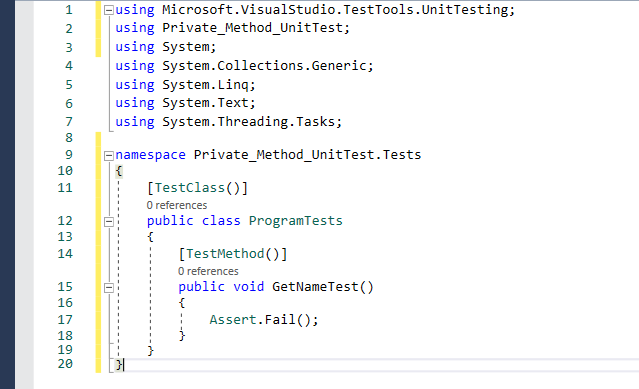 PrivateObject Class Allows test code to call methods and properties on the code under test that would be inaccessible because they are not public.